The only thing better than seeing the amazing projects students build in class is watching them apply their skills in the community. Recently, five Code Fellows students worked on projects that won grand prize, Best Product, and runner up in the second annual Seattle Sports Tech Hackathon. 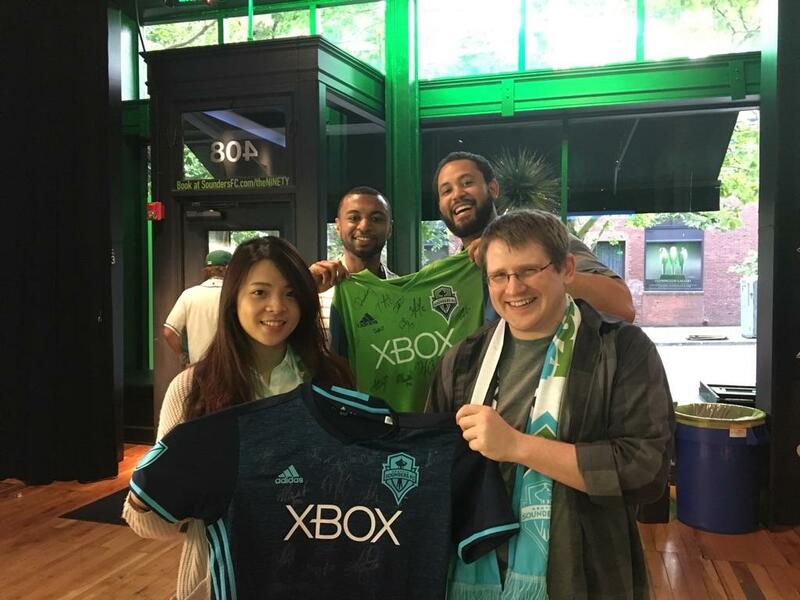 Winners of the hackathon won a Sportradar API package worth $20,000, plus a signed jersey and field access to an upcoming Sounders game. From left: Cathy Oun, Cameron Pam, Isaiah Walker, and Brandon Little hold up the signed jerseys they won at the Seattle Sports Tech Hackathon. Isaiah Walker, a current Code 301 student, contributed to Sportxts, the winning project that sends your phone SMS updates on your favorites teams or players—no app download required. 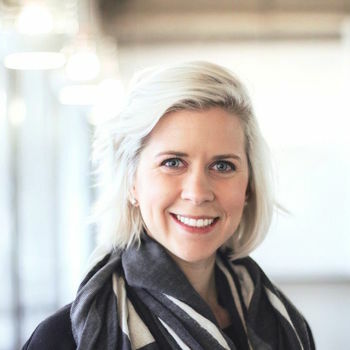 Cameron Pam, also in Code 301, worked with a team on hackathon runner-up ProLivin, offering athletes a simple way to share their workouts, diets, warm-ups, and other information with fans. Brandon Little, Cathy Oun, and Elyanil Castro, who all studied iOS development at Code Fellows, paired with a participating designer to build SportsMe, where fans can see the schedules of multiple sporting events in one calendar. While the students—each participating in a hackathon for the first time—signed up to meet others in the industry, the main goal was the grow in their skills as developers—something they all accomplished as they pushed to complete an app in a weekend. Cathy admitted the hardest part of the project was working with an API they were unfamiliar with. Isaiah, who started studying at Code Fellows just five weeks ago, was surprised at how much he was able to contribute from both his business background and the training he’s already completed at Code Fellows. “It was amazing to see how much I was able to keep up with only a few weeks of Code Fellows training under my belt,” he said. Well done to everyone who participated in the hackathon!